Ho ho ho! We love holiday toys, and this year, Hartz is unveiling a special line of limited edition holiday-themed Angry Birds dog toys. Cosmo and our new puppy love the Angry Birds toys we've collected over the years, so we're excited to bring you two ways to win the entire special holiday collection of Angry Birds toys. Hartz is running a Facebook contest throughout the month of December and we're running a giveaway on To Dog With Love too! Read down to learn how to enter both! There are four unique holiday Angry Birds toys that will be shown in four different in holiday locations that will be slowly revealed throughout the course of four weeks. The campaign will kicked off on Monday, November 26, 2012 and runs through December. Enter at the Hartz Facebook page. For more holiday toy suggestions visit the Hartz holiday gift guide. We also love the DuraPlay and Tuff Stuff toys, so check them out in the gift guide! Enter our To Dog With Love Giveaway! 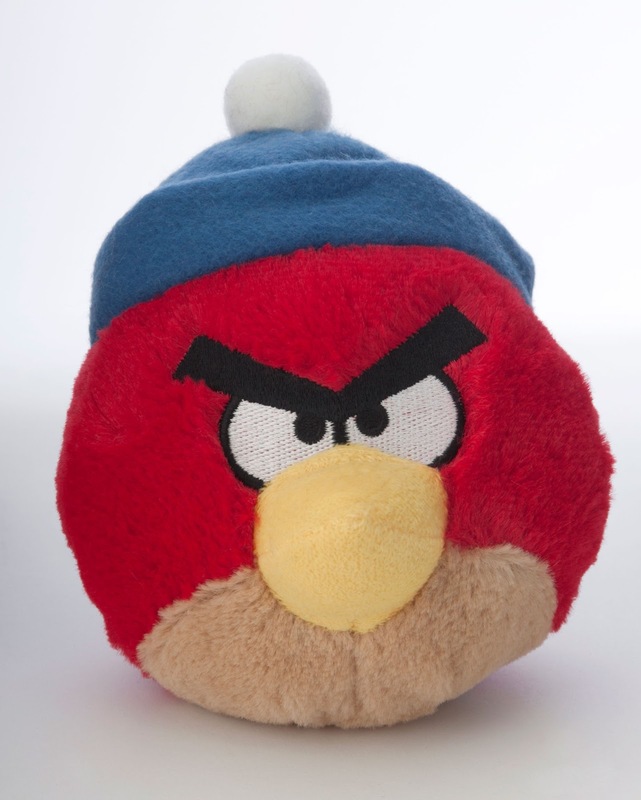 Simply enter via Rafflecopter, below, to win the set of four limited edition holiday-themed Angry Birds dog toys. Contest is open until Monday, December 17 at 12 a.m. ET. U.S. Entries only. Disclosure: Hartz sent us a set of four holiday-themed toys and is providing the giveaway prize as well. All opinions expressed herein are our own. Woo! We loooves birds, but something tells us these ones are doggie sized, not kitty sized, MOL! Shiloh likes everything about playing- running, fetching, flapping toys around his face, squeaking... you name it, he's up for it! My pets love to run and chase! My two dogs like to bark and growl at each other and chew on toys and treats. SChooner and Skipper love to play tug of war with each other. They LOVE to play ball. Kody and Ella love playing fetch with the ball. Ella also loves chasing Kody, wrestling with Itsy and playing keep away with her stuffed toys. i have 10 pomeranians. they like to bark at "imaginary" and yet, sometimes real bunnies when outside in their play yard. when playing inside they seem to enjoy fighting over 1 pigskin roll even though there is always between 12 and 15 identical ones on the floor. they all want the one someone else has. fortunately they're lazy and sleep about 20 hrs a day. My dogs love to play fight including chest bumping. They race around the living room as if is the Indy 500 chasing each other with tails wagging the whole time. every single one partіcular down for the positives and negatives. listed inn tɦe Boston - Phoenix Band Guide.